I have so many books piling up on my bookshelf that I nearly returned this one to the library unread, mentally tagging it as 'just another angsty fallen angel YA novel'. Thank goodness I didn't! 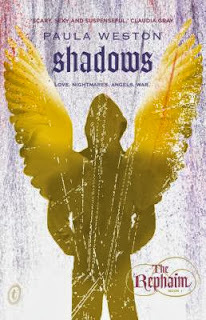 Yes, it is another novel in the fallen angel genre however, I found it one of the better reads. Sure, there were the usual clichés such as chiselled, brooding, dashingly handsome men and beautiful-but-don't-know-it strong-willed women, but the good writing, strong plot, and realistic dialogue nicely balance this out. 18 year-old Gaby Winters has sought solace in the tropical town of Pandanus Beach to ease her grief after her twin brother's death in an horrific car accident. Gaby, also involved in the accident, is left physically and emotionally scarred and haunted by disturbing nightmares of battles with demons. Believing them to be figments of her imagination, she writes them into a short story which she posts online. This simple act changes Gaby's life, prompting the appearance of Rafa, who explains that Gaby's life is a lie and her memories completely false. She is not what she seems, and neither is her brother's death. Now Gaby must unravel the mystery of why her past has been deliberately erased from her memory, and find the truth behind her brother's fate. Who can Gaby trust? What is she capable of? And who are the Rephaim? 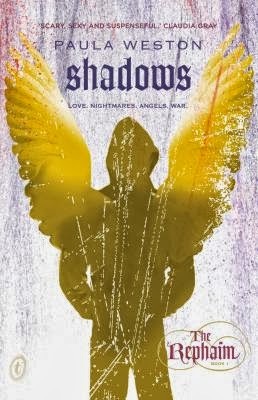 Easy to read and hard to put down, Shadows is written by an Australian author with a refreshingly local flavour. This is definitely one to check-out.